Ubigo - Your Office on the Go! Your Office on the Go! Your business numbers on your mobile! Get a local or toll-free number for your business. Allow your customers to talk to the right person with the call processing service. As if you had a second cellphone! We can redirect your calls on any US or Canadian phone numbers3. You will be able to change this number later. Activate your new phone number. You can start receiving calls! 2. A national (Toll-free) number, is a number your callers can dial at no charge. 3. Calls can be redirected to desk phones as well as mobile devices, with or without extensions. activities separate from their personal lives, and that is, using one single mobile device! Try Ubigo for free today! GET PHONE NUMBERS IN THE WORLD FOR YOUR BUSINESS. 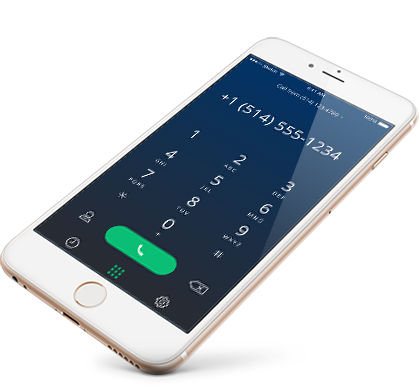 Just choose a number in a selection of 30+ countries and direct callers to the phone you want in North America and start talking!